Join JAMF Software at the 2015 UCET Conference in Herriman, Utah, April 2-3. This conference brings technology directors and educators from around the area together to discuss technology in the classroom. 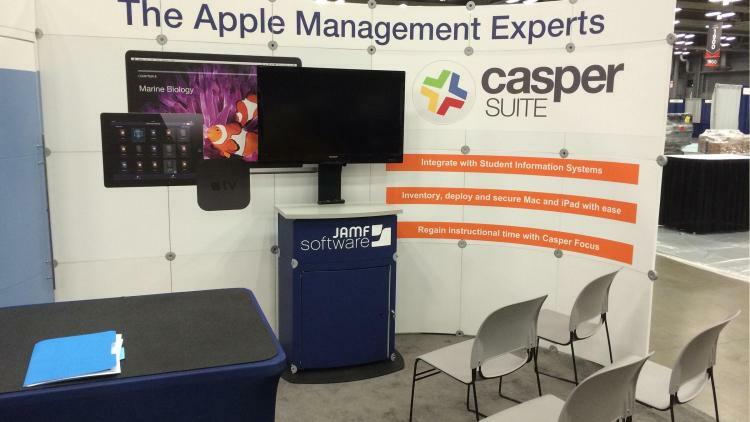 We will be at booth 116 throughout the event highlighting the features of the Casper Suite, our best-of-breed Apple management solution, and discussing the benefits of Apple technology in schools. Also, be sure to swing by one or all of our special sessions as we dive deeper into important issues facing today’s educators and IT admins. Get a detailed look at Casper Focus, the free education-centric component of the Casper Suite, which allows teachers to efficiently manage all student iPad devices in the classroom. See how Casper Focus helps teachers regain instructional time, conduct secure exams, and improve classroom transitions. Imaging is Dead…Long Live Policies! Discover the power of policies and see how they can make life easier for IT admins. Learn the hows, whys, and the gotchas when rolling out a large-scale student deployment. See how Self Service can help students be more enabled and responsible for their own devices, learning, and software.